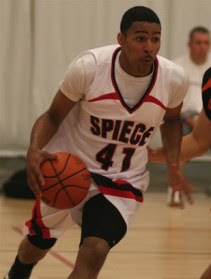 When watching Spiece Indy Heat on the AAU circuit over the past couple of years, most eyeballs were on top-five 2011 prospect Marquis Teague. If not, many were watching Purdue-commit Raphael Davis. However, it was hard not to notice the high-energy forward on the wing or the space-eating big man down low. Now, those two players – 6-5 DeJuan Marrero and 6-10 A.J. Hammons – have built a reputation for themselves, becoming highly-touted rising juniors in their own right.